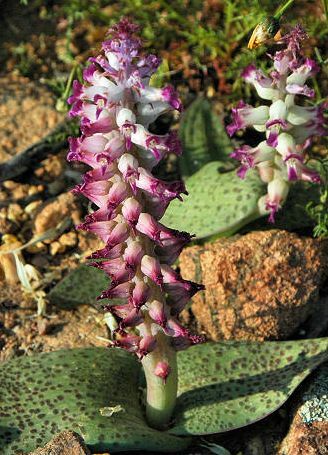 Lachenalia carnosa is native to the Namaqualand in south-west Africa. It has two bright green ovate leaves with depressed longitudinal veins on the upper surface. Lachenalia carnosa has attractive flowers in colours of blue, green, white and magenta.